Janika Nichole Edmond died in Michigan’s women’s prison: Who cares? In November 2015, a twenty-five-year-old Black woman, Janika Nichole Edmond died, or better was executed, in the Women’s Huron Valley Correctional Facility, Michigan’s only women’s prison. Two years ago, Huron Valley was investigated for alleged human rights abuses against mentally ill female inmates, and today Janika Nichole Edmond is dead. That was no suicide. That was murder at the hands of the State. The State had agency, power, volition, and policy. The State wanted Janika Edmond dead, and Janika Edmond is dead. Two prison officers have been suspended or fired, depending on the report. While they bear their own responsibility, this crime emerged from years of abuse and torture. When Janika Edmonds died, the State was still “investigating” the July 16 death of Kayla Renea Miller, in Huron Valley. From the Anchorage Correctional Complex in Alaska to the California Institution for Women to SCI-Muncy in Pennsylvania to the Women’s Huron Valley Correctional Facility, women were dropping like flies and they continue to do so. None of this is new. 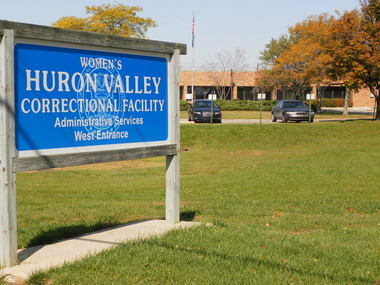 In 2012, Carol Jacobsen, founder and Director of the Michigan Women’s Justice and Clemency Project, noted, “Abu Ghraib has nothing on Huron Valley.” She was describing the irony that Huron Valley was meant to solve the crisis of abuse of women prisoners in the Robert Scott Correctional Facility. As a result of widespread torture and abuse, Scott was closed in 2009, and all the women were moved to Huron Valley, which, according to Carol Jacobsen, is worse than Scott. A year ago, Aura Rosser moved from Detroit to Ann Arbor to start a new life, and by many accounts, she was succeeding. On November 9, however, she and her partner were fighting. Her partner called the police. Two police officers arrived. One of them shot and killed Aura Rosser, who apparently held a knife in her hand. Then the police department went silent. The ACLU and the Ann Arbor Independent filed Freedom of Information Act applications. Students and townspeople organized. The officers were named. The Ann Arbor City Council voted to equip police with body and car cameras. The lack of cameras did not kill Aura Rosser. A man with a gun killed Aura Rosser. Aura Rosser’s sister, Shae Ward, agrees. She knew Aura Rosser and doubts that she would have actually attacked anyone, much less someone with a gun. Who was Aura Rosser? According to Shae Ward, “She was very artistic. She was deeply into painting with oils and acrylics. She’s a culture-type of gal. She was a really sweet girl. Wild. Outgoing. Articulate.” She was also the mother of three children. Now, communities are trying to raise money for the funeral and for the children. Many are asking where the State is in all this. They argue that the State, in this instance Ann Arbor, killed a young Black woman, and the very least it could do is to bear the expenses of her funeral. Ann Arbor has opted to purchase cameras for police bodies and cars. Shirley Beckley, 71 years old, went to the City Council and demanded a different kind of payment. Respect. Dignity. She asked for three minutes of silence. This request actually confused the City Council, but finally, after the Mayor laughed, they allowed for three minutes, three whole minutes, of silence. Black women’s lives matter. Cameras will not stop the State assault on Black women’s lives. They will only record and document the assaults. In the same way that prisons have not reduced crime, because they never were intended to, cameras will not reduce State violence against Black women, people, or communities. Only a fundamental change in policing practices and cultures will begin to do that, and that change begins with this: Black women’s lives matter. News broke this week that Michigan’s only women’s prison, Women’s Huron Valley Correctional Facility, is under investigation from the ACLU, Michigan Department of Corrections, and US Department of Justice for alleged human rights abuses against mentally ill female inmates. Inmates are being hog tied naked, with their feet and hands cuffed together behind their backs, for two hours or more as a form of punishment if they do not “learn to behave,” witnesses claim. Prisoners have also been denied food and water. According to Kary Moss, executive director of ACLU of Michigan, the water was shut off in solitary confinement and guards failed to provide any to inmates for hours or even days. Some women are left standing, sitting, or lying in their own feces or urine for days on end, denied showers, and often controlled by the use of tasers. For one mentally ill inmate at the Valley, poor sanitation, lack of food and water, and other forms of continuous abuse ended her life as she knew it. Last month she was found non-responsive in her cell. She was transferred to an outside hospital where she was pronounced brain dead. She is not the only the only casualty to come out of WHVC. There have been several prisoners who have died from both suicide and medical neglect in the past few years alone. Is this the intended function of our criminal justice system? What is the role of corrections in America today? Is it to punish mentally ill women until they are pronounced brain dead? The use of hog-ties, denial of food and water, unsanitary conditions, excessive use of tasers, and forcing four women to live in a chemical closet is considered humane? 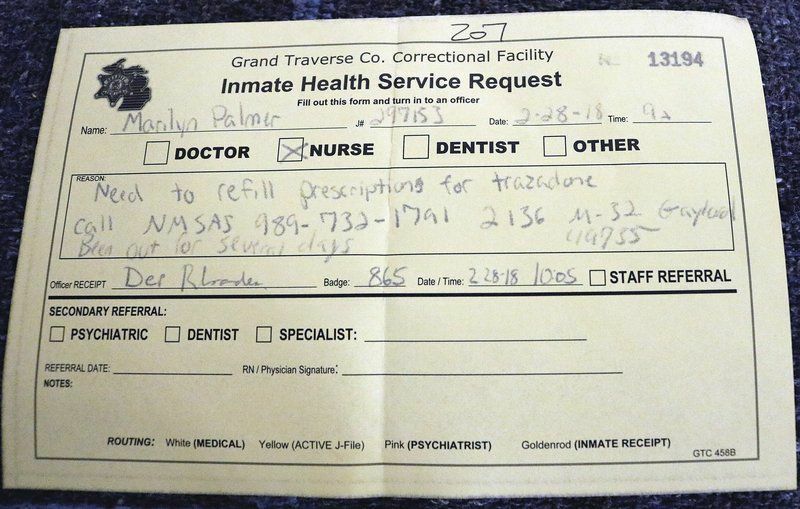 All inmates, including the mentally ill, deserve more dignity than this.